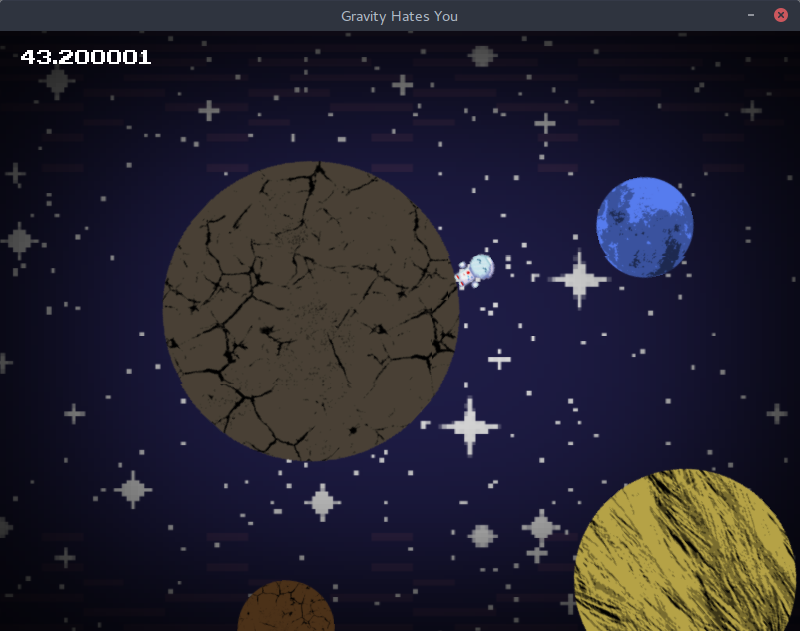 Gravity Hates You is fist game I ever finished. It was made in about 14 days using Godot Engine. It’s about tiny astronaut in universe with tiny planets, who need to collect all stars from level and go to green flag. Planets have radial gravity and you can’t control astronaut while jumping witch makes navigation troublesome. Graphics was drawn by my girlfriend - Katarzyna Hojka.